Arrival at Delhi international airport, where our representative will assist you to the comfortable check in at hotel after the garland welcome. After the breakfast, proceed to Jaipur via drive, check in at pre-booked hotel. This day free for leisure, or you may visit local market in the evening, overnight stay at hotel. After the breakfast, we would proceed for an excursion to Amber Fort, where one can take an Elephant ride to reach this massive fort. Later in the afternoon, we will proceed to sightseeing tour of Jaipur which includes massive City Palace, Natural Observatory & Palace of Winds. 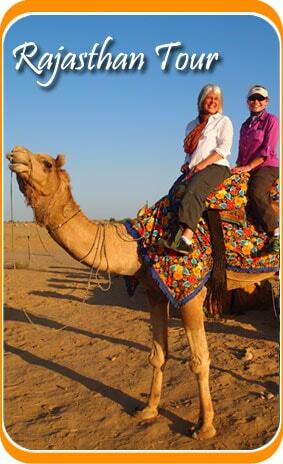 Explore the colorful market of Jaipur and proceed to hotel for overnight stay. After breakfast, drive to Ranthambore National Park, check in at Wildlife Resort and proceed to jeep safari into Ranthambore National Park in the afternoon. Overnight stay at wildlife resort. Today we would explore the National Park on open jeep twice. Overnight stay at wildlife resort. After breakfast, we would drive to Agra, which is famous for being home to one of the Seven Wonders of the World – The “TAJ MAHAL”. This architectural splendor of the mausoleums, the ort and the palaces is a vivid reminder of the lavishness of the legendary Mughal Empire, of which Agra was the capital in 16th and early 17th centuries. While its significance as a political center ended with the transfer of the capital to Delhi by Shah Jahan. On international map, its architectural wealth has secured its place. It’s a pleasant town with a comparatively slow pace, Agra is known for its superb inlay work on the marble and soapstone by craftsmen who are descendants of those who worked under the Mughals. This city is famous for carpets, gold thread embroidery and leather shoes. Check in at hotel after arrival. The day will be free for leisure. Overnight stay at hotel. 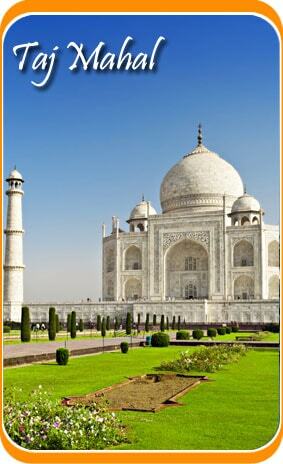 Visit Taj Mahal at dawn and proceed to railway station for the next stop, Umaria (by overnight train). Our representative will meet you at railway station and guide you till hotel for check in at Bandhavgarh National Park. After little rest and lunch, proceed to a Jungle Safari to the national park to counter’s with its impressive wildlife. Overnight stay in Bandhavgarh. After the morning jeep safari to national park, we will drive to Kipling’s country, Kanha National Park. En-Route visits the Fossil Park of Ghugawa. Fossils belonging to 31 genera of 18 plant families have been identified and these fossils also represent that life in this area has emerged some 65 million years ago. Further drive to Kanha, check in to the wildlife resort. After lunch, explore the nearby area by walk. Overnight stay at Kanha. Jeep safari to National Park for wildlife viewing in morning and afternoon. Overnight stay at resort. We will continue the jeep safari to the National park. Overnight stay at resort. After a lavish breakfast, drive to Nagpur airport. Board the flight for Delhi. Our representative will guide you to hotel upon arrival at Delhi. Rest of the time is for leisure. Overnight stay at hotel. Early morning sightseeing tour of Delhi that includes Red Fort, Jama Masjid, Qutub Minar and Lotus Temple. Proceed to airport to board the flight for the onward destination.